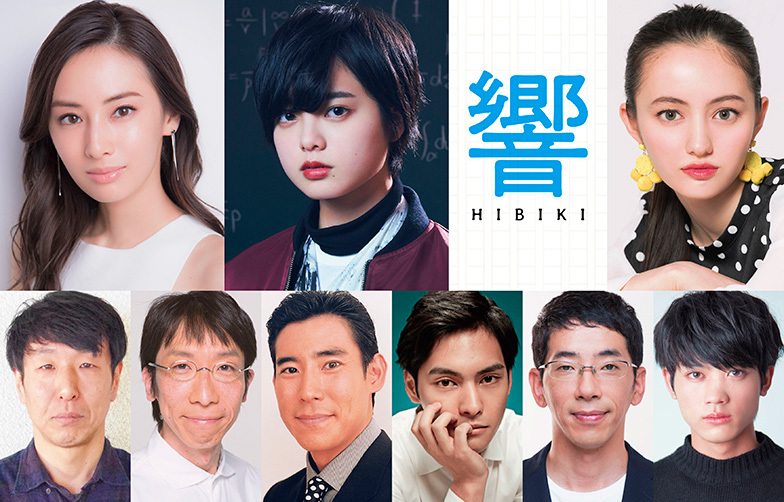 Yurina Hirate (‘Keyakizaka46’) is cast for the lead role in live-action film “Hibiki.” Also cast in supporting roles are Keiko Kitagawa, Ayaka Wilson, Masanobu Takashima, Yuya Yagira, Toru Nomaguchi, Kazushige Komatsu, Daisuke Kuroda and Mizuki Itagaki. Movie is based on manga series “Hibiki: Shousetsuka ni Naru Houhou” by Mitsuharu Yanamoto and directed by Sho Tsukikawa (“Let Me Eat Your Pancreas“). The film follows 15-year-old Hibiki Akui (Yurina Hirate) as she submits a manuscript for a rookie of the year novel award and an editor (Keiko Kitagawa) that takes an interest in her novel. “Hibiki” will be released September 14, 2018 in Japan via Toho.